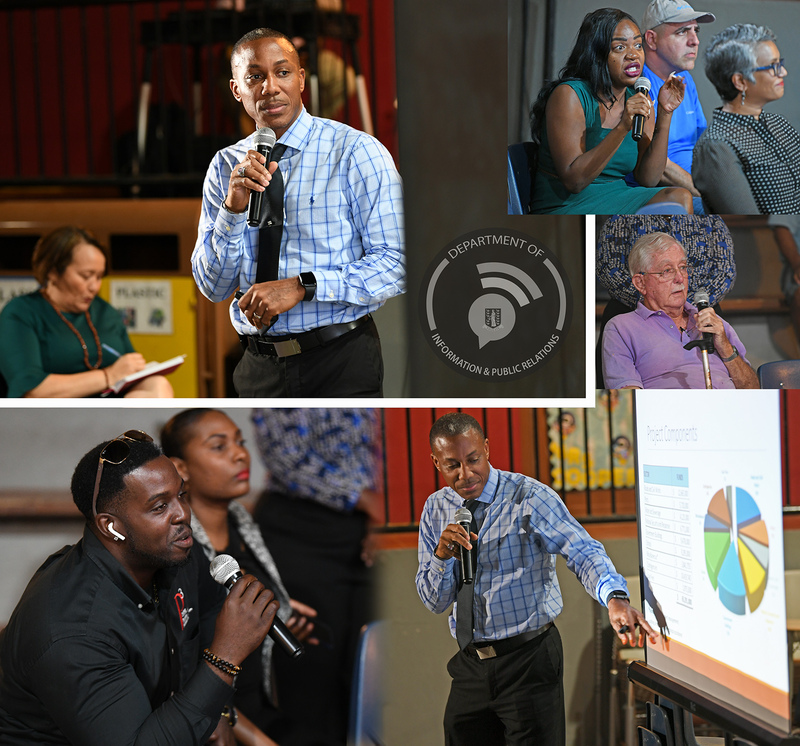 Residents of Road Town and surrounding areas are featured at the first of the three Public Education and Awareness meetings held to educate the public about the progress related to the Rehabilitation and Reconstruction (RRL) loan. The meeting was led by the Ministry of Finance, the Department of Disaster Management, and the United Nations Development Programme. Project Coordinator, Dr. Drexel Glasgow presented the achievements of the loan programme to date and community members had their questions and concerns addressed.